Flexi-access drawdown is more attractive than an annuity with tax free benefits on death before age 75 as the Chancellor has announced to scrap the 55% tax charge on pensions that are left to beneficiaries. 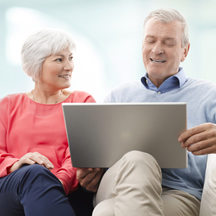 Under the current system on death before the age of 75 the income from an annuity to a spouse is taxed, but the proposed changes mean the income from drawdown to spouse, civil partner or beneficiary will be tax free. Usually people take their tax free lump sum and income as an annuity or pension drawdown and for the latter on death the fund can pass to a partner without tax if it remains in the pension. If it is taken as cash a 55% tax charge is applied. If there is no partner the fund would be paid to the estate and is subject to the 55% tax charge. About 320,000 people retire each year and the decision is expected to attract more people to flexi-access drawdown as benefits can be passed on tax free. The 55% death tax is paid by people in flexible drawdown and those that have not taken their benefits that are aged 75 and over. The new ruling will cost the Treasury £150 million in lost taxes although the total amount of funds of £272 million is small compared to the overall market. In the UK about 320,000 retire each year with about £12 billion of funds being taken as benefits. This change may make flexible drawdown more attractive to people retiring as now their family can benefit to a greater degree in the event of death. The reduction in tax will be off-set by the increase in tax revenues from the new regulations to be introduced by the government from April 2015. The new rules will allow people retiring to take the tax free lump sum and then the remainder of the pension fund as cash less tax at their marginal rate. For many people this may mean spreading their fund over two tax years to avoid paying higher rate tax. HMRC are expecting a further £320 million in the 2015-16 tax year rising to £1,220 million in 2018-19 before falling back to £810 million from 2019-20. The proposed changes allow benefits to be taken after 6 April 2015 by using flexi-access drawdown and on death before age 75, generous tax advantages for the beneficiaries. The following tables show the current tax situation and position after April 2015. The changes will mean on death a spouse, civil partner, dependant and perhaps any beneficiary can take the pension fund tax free as an income or lump sum. This compares to an annuity where the fund is exchanged for an income. The income is paid to a spouse but on their death nothing to beneficiaries such as children. In addition, the income to a spouse would be taxed compared to flexi-access drawdown where on death before age 75 the income would be tax free. These new rules will apply to anyone taking out a fixed term annuity and adding a 100% value protection option. Value protection will guarantee that the original fund less income paid out would be returned to a partner with the option to purchase a fixed term annuity, flexi-access drawdown plan, annuity or to take the fund as cash at that time. With a lower tax charge applied this further underlines the benefit of not buying an annuity. With an annuity a person exchanges the fund in return for an income paid over their lifetime. The only option to protect the income is to add a guaranteed period which is currently limited to 10 years. Therefore on early death if is not possible to receive the original fund back less income received and for someone aged 65 up to 40% of the fund would be lost on death. The new rules gives people greater flexibility and choice when they take their benefits. One of the objections to saving in a pension was the lack of choice at retirement. The new rules will allow people to save in a pension knowing they can access all their money currently from the age of 55 if required.